I bought this palette during my memorable trip to NYC three years ago, and just like the trip, this palette is simply epic! At the time, I was skeptical about splashing out on an eyeshadow palette as I was a cream eyeshadow kinda girl. 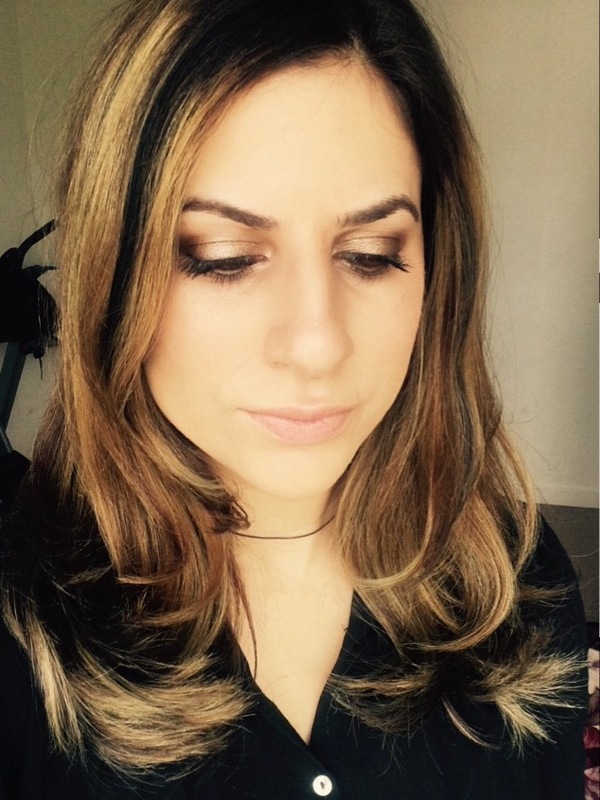 The thought of faffing around blending multiple eyeshadows exhausted me and was all about easy application. I was on the hunt for a higher end palette as I LOVE to experiment and create eye looks on my friends, so wanted something that was of good quality. I did some research online and everyone seemed to be raving about this amazing palette. I had also watched many awesome makeup tutorials so thought it was a safe bet. Little did I know, that I would be completely converted to wearing eyeshadow on a daily basis! When I first started using this palette, my staple look was using ‘On and on bronze’ by Maybelline as a base, then sweeping ‘sidecar’ all over my lids. It merely took me a couple of minutes to create but looked like I spent a lot longer! This look really compliments brown eyes and I received so many compliments on my bronze creation. The palette consists of 12 gorgeous shades, only two shadows are matte and the rest are shimmery colours with a hint of glittery particles, which I feel makes the shadows look that extra bit more beautiful. My favourite thing about the eyeshadows is for sure their staying power. My God, can they last! Which is perfect if you have an event to attend or even for the hot summer days or nights. Virgin – Great to use as an under brow highlight and in the inner corner of your eye to give it that pop and brighten it up. Sin – This is the shade I like to turn to for when I have special occasions, such as a wedding, to attend. I sweep this beautiful shade all over my eye and use ‘Buck’ and ‘Naked’ in the crease and blend blend blend! This creates a simple and elegant look that looks great with any lip colour and outfit. Naked – A subtle matte brown shade that I use in the crease, to blend out any less dramatic eye make-up. I love to use this in the crease with ‘Virgin’ all over the lid for a clean make-up look and a red lip. Sidecar – My favourite eyeshadow of the palette and the only one I have sadly hit pan on 🙁 This gorgeous bronze shade is perfect for creating a flawless brown smokey eye. This shade looks great on it’s own or I tend to smoke it out with ‘Smog’ in the crease or go even smokier by adding ‘Dark horse’ on the outer corner and bottom lash line. Buck – This is the second matte shadow of the palette and is perfect for adding definition to the crease for any look. I also like to use this on my bottom lash line when I do not use eyeliner. Half Baked – This shade is basically summer as an eyeshadow! This looks stunning on sun-kissed skin, all over the lid with ‘Virgin’ prominently placed on the inner corner to make your eyes pop! I also like to use this with ‘Sidecar’ and ‘Smog’ and just place in the centre of the lid. Smog – A versatile shade that can be used for a deep brown smokey eye if placed all over the lid with ‘Darkhorse’ in the crease or my personal favourite – used in the crease and bottom lash line with ‘Sidecar’ all over the lid. Darkhorse – Good to use in the outer corner to deepen any smokey brown eye or even black smokey eye look. This is a good subtle alternative to line your upper or bottom lash line without the harsh effect of a black liner. Hustle – This shade doesn’t look like much in the pan, but really helps to blend out a black/grey smokey eye by placing it through the crease. Gunmetal – I have not seen anything as unique as this shade. As the name suggests, it is the shade of gunmetal with a blue undertone running through. This is the foundation for the perfect smokey eye, I like to sweep this all and add creep in the utter corner and use hustle thought the crease to blend and smudge everything through. Usually, I find there are always a few shades in a palette that you are not to fond of, but I feel that every shade in this palette is versatile and wearable. I am glad that I went for the original palette as I was close to buying number 2. If you’re looking for quality and staying power in a palette, then you will not be disappointed. 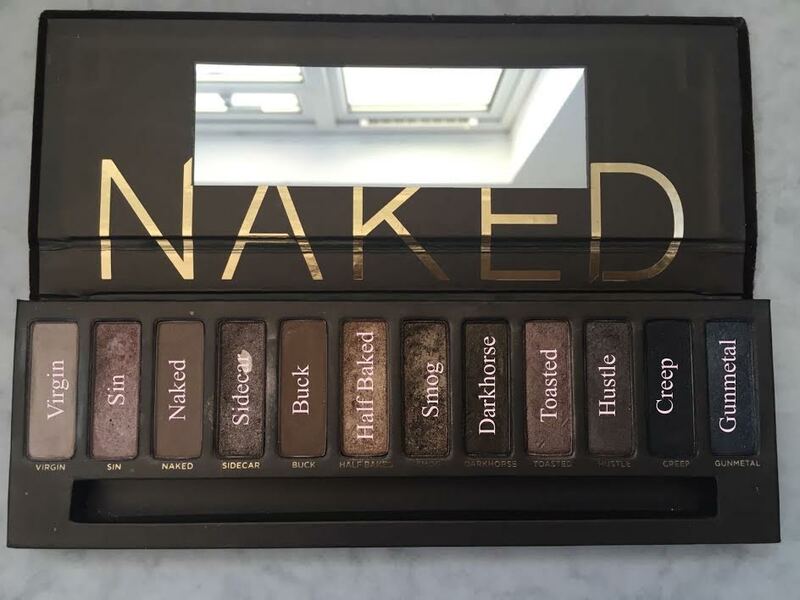 Set with the Urban Decay primer, this palette is simply a dream.